Saving Forests by Evicting the Poor: The Best Way to Solve Global Warming? Mother Jones reports on the controversy surrounding purportedly forest-saving carbon-trading schemes by profiling the fate of General Motors’ “$1” guaricica tree. In the late 1990s, GM was one of the corporations that signed up for a pioneering program sold as a way companies could reduce their responsibility for global warming without actually reducing their greenhouse gas emissions. Instead, they would pay to preserve Brazil’s Atlantic Forest that would presumably absorb all or some of those emissions that cause global warming. Supporters of these types of vehicles refer to them as “carbon offset” programs, but detractors have called them payoff systems. My personal analogy is to the indulgences that the Catholic Church used to sell in medieval times. Like indulgences, carbon offsets may be purchased by any person, corporation or government with enough cash on hand. It does not, however, require any reduction in climate changing emissions whatsoever. But, I digress … the Mojo story hones in on another controversial aspect of carbon offset programs: they tend to displace people who live in and near forests, particularly those in poor developing countries. The article’s author, Mark Schapiro, traveled to Brazil and spoke with impoverished farmers who have lost their rights to hunt and forage in the forests saved with GM dollars. 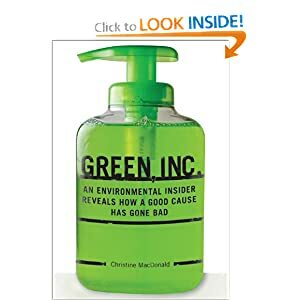 The irony: people with some of the lowest carbon footprints in the world are being displaced so some of the biggest culprits of global warming can win PR points by claiming to have “greened” themselves. And, Shapiro points out: We’re complicit since U.S. taxpayers acquired a stake in GM in last year’s auto industry bailout.